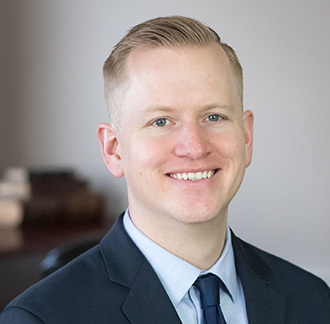 JT Trimble, Candidate for CFP® certification, joined YHB in August of 2018 and serves as a Client Account Manager. Prior to joining YHB, JT worked with Charles Schwab & Co., Inc. as a Financial Services Representative for high net worth clients and specialized in trading strategy in Littleton, CO.
JT received a bachelor’s degree in business administration and finance from Colorado Christian University and an M.S. Ed from Baylor University. He is a regular contributor to Let’s Talk Investing and speaker at numerous events throughout the region. JT is a member of the Loudoun County Chamber of Commerce and the Financial Planning Association. Prior to entering the financial services industry, JT was a passionate Physical Education teacher and baseball/softball coach. Having an avid interest in physical fitness, he developed a physical education program for 6th-12th grade students that incorporated weight training and CrossFit regimens. When JT isn’t helping clients, he enjoys spending time outdoors and staying active with his wife and two children.